We are extremely humbled that the Gwendolyn Strong Foundation (GSF) was voted by its supporters in December 2009 as one of the top 100 nonprofits out of more than 500,000 organizations in the first round of the $5M Chase Community Giving campaign on Facebook. That accomplishment would have never been possible without the passionate dedication of each and every one of us collectively working hard to get the word out about the importance of the campaign and tirelessly asking our family, friends, neighbors, and colleagues to vote for GSF. To each and every one of you and them, thank you. Together, we made it happen! For our first round accomplishment we received a $25,000 grant from JP Morgan Chase. We promised 100% of that to Dr. Hans Keirstead's promising stem cell program at the University of California, Irvine and we proudly sent a $25,000 check directly to Dr. Keirstead's lab within days of learning we won (click here to see that check). We're now on to the final round of the campaign with a chance to win up to $1 Million -- an unbelievably material amount of funding for SMA. We see this as an enormous opportunity to increase awareness of this cruel disease across the millions of eyeballs who will be perusing the top 100 organizations in the final round and we also believe that, while it may be an uphill battle, we have a real shot to win the $1 Million for SMA, for our children, for future SMA generations. So What Would We Do With $1 Million? For the final round we're pledging 100% -- every-single-penny -- of the $1 Million from Chase to SMA awareness and cure focused research programs. And, who better to decide where this critical funding goes than those directly impacted by this cruel disease. If we can all come together and win the $1 Million, we'll select the most promising SMA projects in need of funding and empower the vibrant SMA community to help us decide exactly how to distribute it. 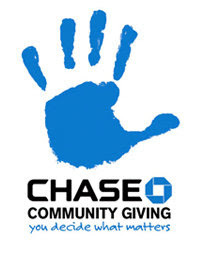 Voting for the final round of the Chase Community Giving campaign runs January 15-22, 2010. We'll be sending out additional information as that date nears, but please take this opportunity to start thinking of creative ways that you are going to get the word out to each and every single person who will listen and be willing to help us all win the $1 Million for SMA. None of us can do this alone, but together we can make this miracle happen, win the $1 Million, decide which programs are the most promising, and bring this disease to its knees. Thank you for your continued support and we look forward to fighting for the $1 Million in the final round of the Chase Community Giving campaign alongside you. Let's go get it!